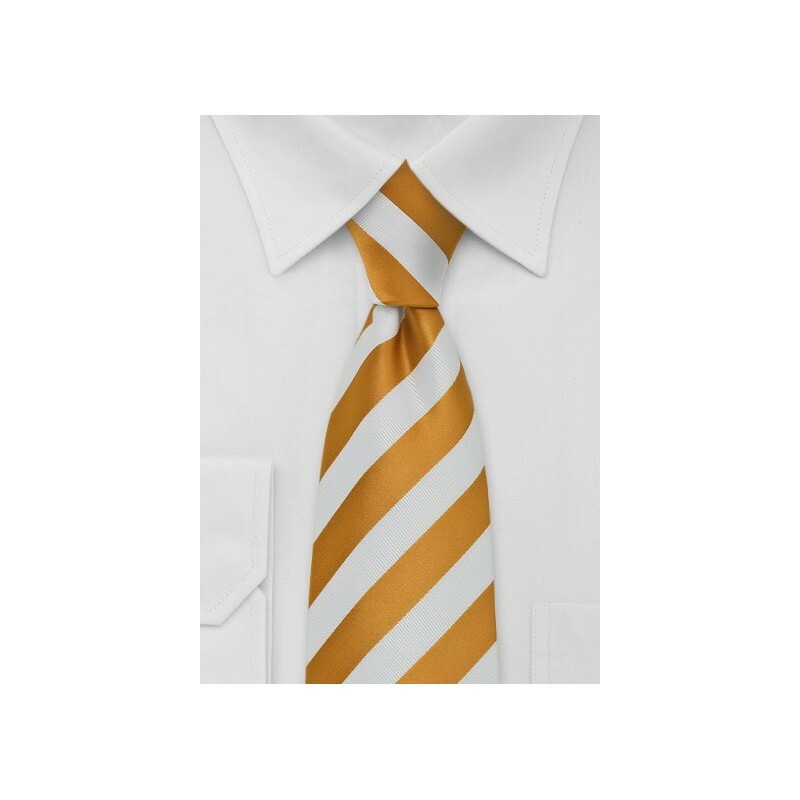 A stunning two-tone striped necktie in amber-yellow and bright white. 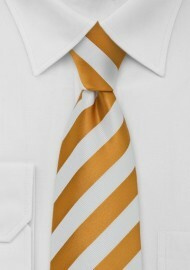 This tie looks perfect with a wide range of shirts and suits. We like to pair this tie with a white dress shirt and navy-blue suit. It is a tie that looks great in any season of the year! This tie looks and feels like one of our more expensive silk ties. It is actually made from microfiber - a man-made fabric that looks and feels like silk but is more resistant to stains and wrinkles. The perfect textile for any light colored tie.